The Churchlands resident spent much of the past 18 months with limited mobility, forcing her to find activities to occupy her time and mind. 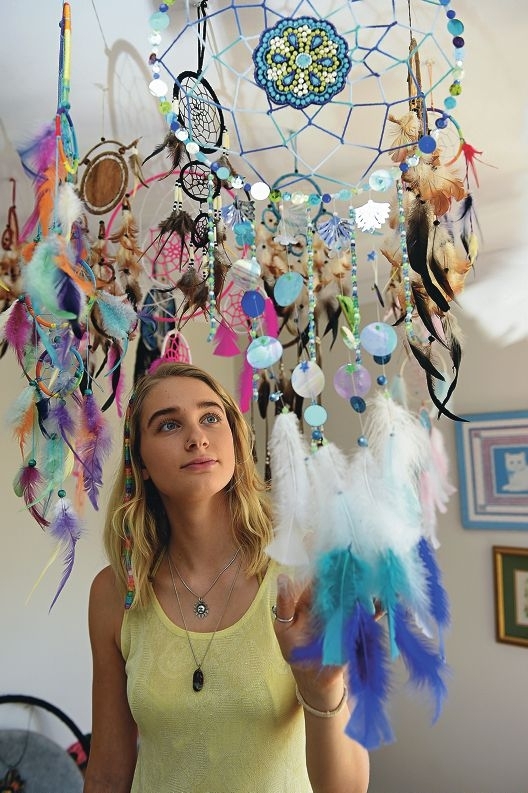 ‘I wanted to do something arts and craftsy, and throughout the year, I made about 150 dreamcatchers,’ she said. ‘I starting making them as presents and then started selling them through an online business. Ms Salmin said while making the dreamcatchers, having regular visitors and doing part-time study kept her mind busy, willing her body to walk again was difficult. After six weeks at Shenton Park Rehabilitation Hospital, she returned home without any clear idea as to whether she would walk again. ‘I had nerve damage in my left leg and I couldn’t move the foot or control my leg,’ she said. Ms Salmin did physiotherapy every week and eventually started to regain movement and control. Many surgeries have since followed but she said the work she did with physiotherapists made all the difference. Ms Salmin, who is now studying a Bachelor of Arts at UWA, said that despite the car accident, she had no fear of driving. ‘I am surprised at how resilient I was through the process,’ she said. She has nominated her story in the Australian Physiotherapy Association ‘I love my physio’ campaign.